When I say "tofu," what comes to mind? If your answer is "a strange-looking, foreign-sounding food," then chances are you probably don't have packages of bean curd stacked in your fridge. 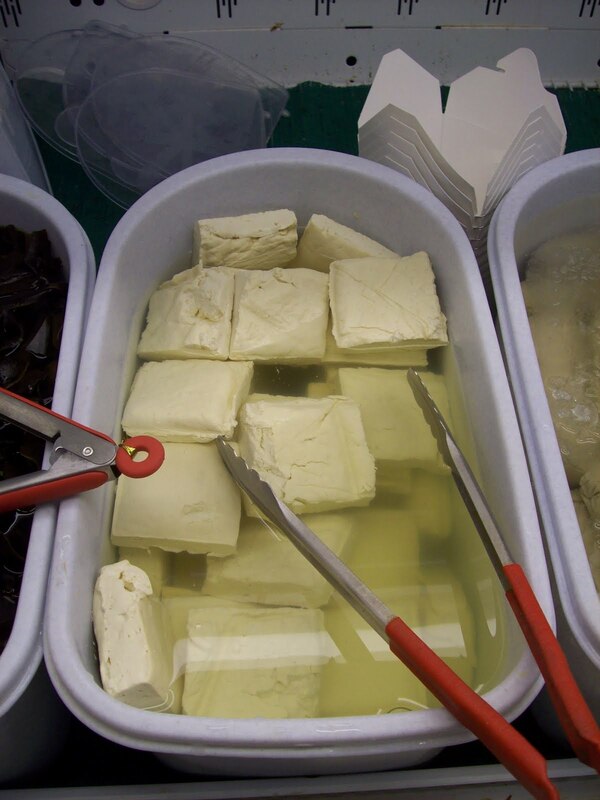 Although it has been an essential part of Asian diets for more than 2,000 years, tofu wasn't commercially available in Western markets until the mid-1960s. Since then, this highly versatile, nutritious food has risen slowly but steadily in popularity. Tofu has eased its way into mainstream American culture over the past five decades, thanks in large part to books such as Frances Moore Lappé's Diet for a Small Planet, first published in 1971, and The Book of Tofu by William Shurtleff and Akiko Aoyagi, which appeared in 1975. Ralph and I owned a natural-food store in Wellfleet, Mass., when these authors were encouraging a generation of young adults to explore more healthful ways of eating. At that time, anyone who wanted to try tofu had two choices: They could buy it at a natural food store or make it themselves. Packed away in our attic is a wooden tofu-making kit. Made by Larry Needleman in 1976 and based on designs from The Book of Tofu, the soybean press was a popular item during that burgeoning period of do-it-yourself food preparation. Although we owned the kit, we seldom used it, relying instead on the fresh tofu we sold in our store. Our store was on Cape Cod, and to supply our customers (and our own family) with the tofu we wanted to eat, Ralph and I traveled to Boston. We took a four-hour round trip at least once a week in our station wagon to buy several five-gallon containers of freshly made bean curd from a tofu maker in that city's Chinatown. We brought the containers back to Wellfleet and sold the cubes, still floating in the watery brine, by the piece to eager customers. Stepping into that tofu shop was like walking into another world. Steam rose over vats of boiling soybeans as an aged tofu maker stirred the mixture with a long wooden paddle. The floor was wet, English was barely spoken, receipts were scratched on soggy pieces of paper, and the tofu was incredibly fresh and flavorful. Anyone who has ever tasted tofu knows it is not notable for its remarkable flavor. Tofu is a bland food that picks up and absorbs the essence of other, more distinctive-tasting seasonings and spices. However, the tofu from that old Chinese tofu maker had a taste sensation all its own. Ralph has fond memories of driving home from Boston while devouring one fresh cake of tofu after another. I can't say that I did the same, but I have always enjoyed incorporating tofu into our family's diet. In our house, we usually eat tofu at least once a day. As I sit in my office writing this column, our dinner of roasted vegetables and tofu is cooking in the oven. When tofu is not being roasted together with onions, garlic, zucchini, carrots, broccoli and whatever other vegetables are handy, I often sauté thick slices of it in a cast-iron pan that has been lightly coated with olive oil and seasoned with freshly squeezed garlic. Sometimes I make lasagna, using an entire cube of crumbled tofu in place of cheese. The use of tofu is not limited to main-course menus. One of my favorite ways to enjoy tofu is as a dessert we call tofu cream. To make it, I put into a blender about a cup of liquid — sometimes I use fruit juice and sometimes soy milk — add a banana broken into pieces, an entire cake of tofu crumbled up and about a quarter-cup of honey or agave. If stevia is used instead of honey or agave, one teaspoon of powdered stevia is enough to sweeten the mixture. When blended together, tofu cream has the consistency and taste of pudding. Tofu is a heart-friendly food. It is an excellent source of protein, high in iron and calcium and low in calories, and it contains no cholesterol. If you haven't tried it, don't be scared by its foreign-sounding name. Pick up a cake at your local grocery and experiment with one of the many recipes available online for this versatile, nutritious and historically important food.